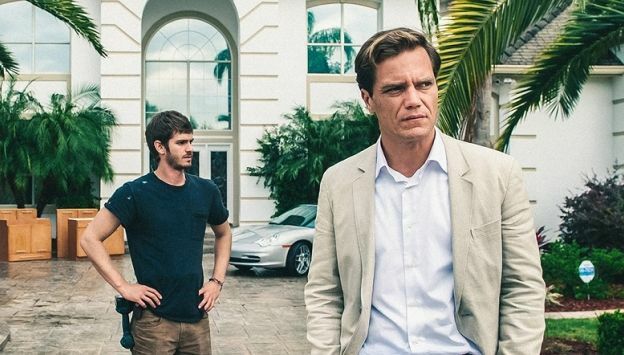 In this timely thriller, charismatic and ruthless businessman Rick Carver (Oscar nominee Michael Shannon) is making a killing by repossessing homes. When he evicts a single father trying to care for his mother (Andrew Garfield and Laura Dern), Nash becomes so desperate to provide for his family that he goes to work for the very man who evicted him in the first place. It is a deal-with-the-devil that comes with an increasingly high cost: Nash must evict families from their homes. As he falls deeper into Carver's web, Nash finds his situation grows more brutal and dangerous than he ever imagined.